Sam R. Frost, courtesy of Edward Williams. Other Names*: Samuel Frost, Sam Frost. Obituary*: "FUNERAL OF JUDGE FROST. "Burial Is to Occur at Corsicana Under Auspices of the Masons. • Two short biographies of Judge Frost are here. • Another biography, in The Handbook of Texas Online, is here. • A much longer biography, from The Navarro County Scroll, published by the Navarro County Historical Society, is here. • A picture and a transcript of a state historical marker about him in Corsicana, Texas is here. • His Find A Grave memorial, which includes pictures of his grave marker and a state historical marker about him, is here. [S97] W. P. Murchison, "Sam R. Frost, County Judge," in Navarro County History, vol. 2 (Corsicana, Tex. : The Navarro County Hist. Soc'y, 1978), p. 118. [S197] Nancy Timmons Samuels & Barbara Roach Knox, comps., Old Northwest Texas: Historical-Statistical-Biographical, vol. 1-B, Navarro County, 1846-1860 (Ft. Worth, Tex. : Ft. Worth Gen. Soc'y, 1980), p. 428 (stating that Romulus was his middle name). [S197] Nancy Timmons Samuels & Barbara Roach Knox, comps., Old Northwest Texas, vol. 1-B, above, p. 428 (naming William as his father). [S467] "Samuel R. Frost Home," in Navarro County History, vol. 4 (Corsicana, Tex. : The Navarro County Hist. Soc'y, 1984), p. 106, (naming William W. Frost as his father). [S197] Nancy Timmons Samuels & Barbara Roach Knox, comps., Old Northwest Texas, vol. 1-B, above, p. 428 (naming Louisa M. Brewer as his mother). [S467] "Samuel R. Frost Home," above, (naming Louisa Brewer as his mother). [S185] Standard certificate of death (Texas Department of Health, Bureau of Vital Statistics) no. 4094 for Roger Frost, filed with local registrar on 21 Jan 1943, Mrs. A. N. Justiss, informant, per copy provided by Texas Department of Health, Bureau of Vital Statistics, to Roger Bartlett on 29 Aug 1996, (not giving the date and stating that he was born in Texas). [S189] Navarro County Cemetery Records, vol. 9 (Corsicana, Tex. : The Navarro County Gen. Soc'y, 1989), p. 112 (giving only the year and not naming the place). [S298] Wyvonne Putman, "Judge Samuel Romulus Frost," in Navarro County Scroll 1988 (Corsicana, Tex. : The Navarro County Hist. Soc'y, 1967), pp. 10-18, p. 18 (giving only the date). [S455] Wyvonne Yaws Putman, "Louisa Bartlett Neil Smith Winkler," in Navarro County History, vol. 6 (Corsicana, Tex. : The Navarro County Hist. Soc'y, 1991), p. 128, (not giving the date or place). [S11] Index to Texas Death Records (Austin, Tex. : Tex. Dept. of Health, Bur. of Vital Statistics), typescript, 1903-40, vol. 17, p. 8337, file 55142. [S204] Records of Bank Sutherland Funeral Home (later McCammon Funeral Home), Corsicana, Texas, in Navarro Leaves and Branches, vol. IV, no. 2 (May 1981), p. 36 (giving only the date). [S467] "Samuel R. Frost Home," above. [S67] The Dallas Morning News, Dallas, Tex., 3 Jan 1908, p. 7. [S189] Navarro County Cemetery Records, vol. 9, above, p. 112 (common stone with Mary Louise Winkler) (not giving the date). [S67] The Dallas Morning News, Dallas, Tex., 3 Jan 1908, p. 7 (stating that he would be buried in Corsicana, Texas on 3 Jan 1908 without naming the cemetery). [S1115] Edward Lynn Williams, electronic mail to Roger Bartlett, 9 Nov 1998 (not giving the date). [S67] The Dallas Morning News, Dallas, Tex., 15 Jul 1899, p. 8. [S151] Annie Carpenter Love, History of Navarro County, above, pp. 258-59. [S170] Members of the Texas Legislature 1846-1962 (Austin, Tex. : n.pub., n.a. [ca. 1963]), pp. 97, 136. [S467] "Samuel R. Frost Home," above, (including the statement that he was born in Huntsville, Texas). [S1115] Edward Lynn Williams, electronic mail to Roger Bartlett, 9 Nov 1998 (stating that he was born in Huntsville, Texas). [S190] Navarro County Cemetery Records, vol. 10 (Corsicana, Tex. : The Navarro County Gen. Soc'y, 1990), p. 111 (naming Sam R. Frost as her father). [S298] Wyvonne Putman, "Judge Samuel Romulus Frost," above, p. 18 (naming Samuel Romulus Frost as her father). [S1115] Edward Lynn Williams, electronic mail to Roger Bartlett, 9 Nov 1998 (naming Samuel Romulus Frost as her father). [S1207] Corsicana Daily Sun, Corsicana, Tex., online archive at http://corsicana.newspaperarchive.com, 14 Sep 1966, p. 1, col. 2 (obituary of Mrs. A. N. Justiss) (naming Sam R. Frost as her father). [S185] Death certificate for Roger Frost, above, (naming Sam R. Frost as his father). [S298] Wyvonne Putman, "Judge Samuel Romulus Frost," above, p. 18 (naming Samuel Romulus Frost as his father). [S1115] Edward Lynn Williams, electronic mail to Roger Bartlett, 9 Nov 1998 (giving his name as Samuel Roger Frost, Jr. and naming Samuel Romulus Frost as his father). [S1207] Corsicana Daily Sun, Corsicana, Tex., online archive, above, 18 Jan 1943, p. 3, col. 1 (obituary of Roger Frost) (naming Judge S. R. Frost as his father). [S298] Wyvonne Putman, "Judge Samuel Romulus Frost," above, p. 18 (spelling her name as Clio and naming Samuel Romulus Frost as her father). [S578] Patsy Patterson, electronic mail to Roger Bartlett, 23 Jul 2000, (naming Samuel Romulus Frost as her father). Death*: He died on 11 December 1896 in Navarro County, Texas. [S197] Nancy Timmons Samuels & Barbara Roach Knox, comps., Old Northwest Texas: Historical-Statistical-Biographical, vol. 1-B, Navarro County, 1846-1860 (Ft. Worth, Tex. : Ft. Worth Gen. Soc'y, 1980), p. 428. [S197] Nancy Timmons Samuels & Barbara Roach Knox, comps., Old Northwest Texas, vol. 1-B, above, p. 428 (giving her name as Louisa M. Brewer). [S1115] Edward Lynn Williams, electronic mail to Roger Bartlett, 9 Nov 1998 (spelling her middle name as Louisa; not giving the date or place). [S197] Nancy Timmons Samuels & Barbara Roach Knox, comps., Old Northwest Texas, vol. 1-B, above, p. 428 (naming William as her father). [S1115] Edward Lynn Williams, electronic mail to Roger Bartlett, 9 Nov 1998 (spelling her middle name as Louisa). [S197] Nancy Timmons Samuels & Barbara Roach Knox, comps., Old Northwest Texas: Historical-Statistical-Biographical, vol. 1-B, Navarro County, 1846-1860 (Ft. Worth, Tex. : Ft. Worth Gen. Soc'y, 1980), p. 428 (giving her name as Louisa M. Brewer). [S189] Navarro County Cemetery Records, vol. 9, above, p. 112 (identifying her as "wife of Wm. W. Frost"). [S467] "Samuel R. Frost Home," in Navarro County History, vol. 4 (Corsicana, Tex. : The Navarro County Hist. Soc'y, 1984), p. 106, (naming Louisa Brewer as his mother). [S197] Nancy Timmons Samuels & Barbara Roach Knox, comps., Old Northwest Texas, vol. 1-B, above, p. 428 (naming Louisa M. Brewer as her mother). Marriage*: She married _____ Mooring. Other Names*: Catherine Winkler, Kate Winkler, Catherine Winkler Mooring, Catherine Mooring, Kate Winkler Mooring, Kate Mooring. Funeral services for Mrs. Kate Winkler Mooring, aged 71 years, native of Corsicana and member of one of the oldest and most prominent families of Corsicana and Navarro county, who died in a Dallas hospital Thursday afternoon [8 Mar 1928], were held from the St. John’s Episcopal church Friday afternoon at 4 o’clock with interment in Oakwood cemetery. The services were conducted by Rev. H. J. Ellis, rector. Mrs. Mooring had been in the hospital for three weeks. She was the daughter of the late Col. C. M. Winkler and sister of the late Mrs. Sam R. Frost. Since Mrs. Frost’s death, she had made her home with Mr. and Mrs. R. L. Calkins. Mrs. Calkins and Mrs. A. N. Justiss were in Dallas Thursday when the end came. Pallbearers were her nephews and nephews-in-law, George E. Jester, A. N. Justiss, Max D. Almond, Barry Frost, Guy M. Gibson and R. L. Calkins. “Aunt Kate” as she was familiarly called, was an active participant in the activities of the United Daughters of the Confederacy until a few years ago when her health caused her retirement. [S1207] Corsicana Daily Sun, Corsicana, Tex., online archive at http://corsicana.newspaperarchive.com, 9 Mar 1928, p. 7, col. 1 (obituary of Mrs. Kate Mooring) (naming Col. C. M. Winkler as her father). [S189] Navarro County Cemetery Records, vol. 9 (Corsicana, Tex. : The Navarro County Gen. Soc'y, 1989), p. 3 (giving the year but not the place). [S455] Wyvonne Yaws Putman, "Louisa Bartlett Neill Smith Winkler," above, (giving the year but not the place). [S67] The Dallas Morning News, Dallas, Tex., 10 Mar 1928, pt. 1, p. 5 (obituary of Mrs. Kate Mooring) (stating that she was seventy-one years old when she died on 8 Mar 1928). [S1078] 1920 U.S. Census, Navarro Co., Tex., sheet 6A, line 25 (stating that she was born in Texas in 1855 or 1856). [S961] Find A Grave, online at http://www.findagrave.com, memorial for Kate Winkler Mooring, memorial no. 29313947, viewed on 11 Feb 2013 (giving the date but not the place). [S11] Index to Texas Death Records (Austin, Tex. : Tex. Dept. of Health, Bur. of Vital Statistics), typescript, 1903-40, vol. 36, p. 17742, file 10426 (giving the date and county). [S67] The Dallas Morning News, Dallas, Tex., 10 Mar 1928, pt. 1, p. 5 (obituary of Mrs. Kate Mooring) (stating that she died in "a local sanitarium"). [S1207] Corsicana Daily Sun, Corsicana, Tex., online archive, above, 9 Mar 1928, p. 7, col. 1 (obituary of Mrs. Kate Mooring) (stating that she died in a Dallas hospital on the afternoon of 8 Mar 1928). [S189] Navarro County Cemetery Records, vol. 9, above, p. 3 (not giving the date). [S1207] Corsicana Daily Sun, Corsicana, Tex., online archive, above, 9 Mar 1928, p. 7, col. 1 (obituary of Mrs. Kate Mooring). [S1207] Corsicana Daily Sun, Corsicana, Tex., online archive, above, 9 Mar 1928, p. 7, col. 1 (reprinted here with consent of the Corsicana Daily Sun). Marriage*: He married Catherine ('Kate') Winkler, daughter of Judge Clinton McKamy Winkler and Juda Louisa Bartlett. Other Names*: Katie Marie Frost Justiss, Katie Frost Justiss, Katie Marie Justiss, Katie Justiss. "Mrs. A. N. Justiss, 93, native of Corsicana, mother of City Secretary Alton N. Justiss, died Tuesday night in the Britain Convalescent Center in Irving. "Funeral services will be conducted Thursday at 10 a. m. from the Corley Chapel with burial in Oakwood cemetery. The rites will be conducted by Rev. Leon Baze, assistant pastor, First Methodist church, of which she had been a life-long member. "Born August 8, 1973 in Corsicana, Mrs. Justiss was the daughter of the late Sam R. and Mary Winkler Frost, pioneer Corsicana residents. She was the oldest of nine children. "Mrs. Justiss was the widow of the late Col. A. N. Justiss, a former newspaper editor, postmaster of Corsicana under appointment of President Woodrow Wilson, member of the Texas Legislature and insurance man. "Surviving are two sons, Frost Justiss, Dallas, and Alton Justiss, Corsicana; two sisters, Mrs. Guy M. Gibson and Mrs. Max D. Almond, both of Corsicana, and a number of nieces, nephews and other relatives. [S298] Wyvonne Putman, "Judge Samuel Romulus Frost," in Navarro County Scroll 1988 (Corsicana, Tex. : The Navarro County Hist. Soc'y, 1967), pp. 10-18, p. 18 (naming Samuel Romulus Frost as her father). [S190] Navarro County Cemetery Records, vol. 10, above, p. 111 (naming Mary Frost as her mother). [S159] Alice Duggan Gracy, Jane Sumner, and Emma Gene Seale Gentry, comps., Early Texas Birth Records 1838-1878 (Easley, S.C.: Southern Hist. Press, 1978), vol. II, p. 103 (giving her name as Kate Marie and giving the date and county). [S190] Navarro County Cemetery Records, vol. 10, above, p. 111 (giving the date but not the place). [S1207] Corsicana Daily Sun, Corsicana, Tex., online archive, above, 14 Sep 1966, p. 1, col. 2 (obituary of Mrs. A. N. Justiss). [S15] Navarro County, Texas Marriages, vol. 2, 1889-1899 (Corsicana, Tex. : The Navarro County Gen. Soc'y, 1987), p. 142 (citing Navarro County, Texas Marriage Records, vol. VII, p. 507). [S391] Mattie Mae Ellis, Rice, Tex., letter to Roger Bartlett, 6 Jan 1977 (giving his name as A. N. Justis [sic] and not giving the date or place; attributing information to Sue Burnett). [S1207] Corsicana Daily Sun, Corsicana, Tex., online archive, above, 23 Jan 1940, pp. 1-2 (obituary of Col. A. N. Justiss) (giving her name as Katie Frost and giving 12 Oct 1893 [not Nov] as the date; not giving the place). [S11] Index to Texas Death Records (Austin, Tex. : Tex. Dept. of Health, Bur. of Vital Statistics), typescript, 1966, vol. 2, p. 759, file 65051 (giving the date and county). [S190] Navarro County Cemetery Records, vol. 10, above, p. 111 (common stone with Archie Norris Justiss) (giving the place but not the date). [S391] Mattie Mae Ellis, 6 Jan 1977 letter, above (giving his name as Archibald Justis [sic], naming Katie Frost as his mother, and attributing information to Sue Burnett). [S1115] Edward Lynn Williams, electronic mail to Roger Bartlett, 9 Nov 1998 (giving his name as Archie Frost Justiss and naming Katie Frost as his mother). [S391] Mattie Mae Ellis, 6 Jan 1977 letter, above (naming Katie Frost as his mother and attributing information to Sue Burnett). [S1115] Edward Lynn Williams, electronic mail to Roger Bartlett, 9 Nov 1998 (naming Katie Frost as his mother). [S1207] Corsicana Daily Sun, Corsicana, Tex., online archive, above, 14 Sep 1966, p. 1, col. 2 (obituary of Mrs. A. N. Justiss) (naming Mrs. A. N. Justiss as his mother). 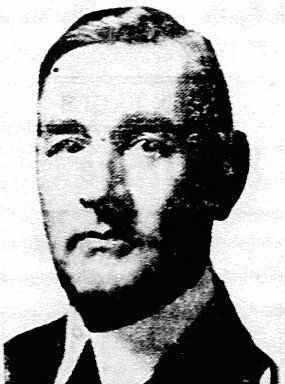 A. N. Justiss, from 1915 article in Dallas Morning News. [S190] Navarro County Cemetery Records, vol. 10, above, p. 111 (naming Mary Justiss as her mother). [S1115] Edward Lynn Williams, electronic mail to Roger Bartlett, 9 Nov 1998 (giving the date but not the place). [S67] The Dallas Morning News, Dallas, Tex., 23 Jan 1940, sec. I, p. 4 (obituary of Col. A. N. Justiss) (not giving the date but stating that he was seventy-four years old when he died on 22 Jan 1940; stating that he was a native of Tennessee). [S1207] Corsicana Daily Sun, Corsicana, Tex., online archive at http://corsicana.newspaperarchive.com, 23 Jan 1940, pp. 1-2 (obituary of Col. A. N. Justiss) (giving her name as Katie Frost and giving 12 Oct 1893 [not Nov] as the date; not giving the place). [S11] Index to Texas Death Records (Austin, Tex. : Tex. Dept. of Health, Bur. of Vital Statistics), typescript, 1903-40, vol. 28, p. 13572, file 4526 (giving the date and county). [S1207] Corsicana Daily Sun, Corsicana, Tex., online archive, above, 23 Jan 1940, pp. 1-2 (obituary of Col. A. N. Justiss). [S190] Navarro County Cemetery Records, vol. 10, above, p. 111 (common stone with Katie Frost Justiss) (giving the place but not the date). [S67] The Dallas Morning News, Dallas, Tex., 23 Jan 1940, sec. I, p. 4 (obituary of Col. A. N. Justiss). [S391] Mattie Mae Ellis, 6 Jan 1977 letter, above (giving his name as Archibald Justis [sic], naming A. N. Justis [sic] as his father, and attributing information to Sue Burnett). [S67] The Dallas Morning News, Dallas, Tex., 23 Jan 1940, sec. I, p. 4 (obituary of Col. A. N. Justiss) (giving his name as Frost Justiss and naming Col. A. N. Justiss as his father). [S1115] Edward Lynn Williams, electronic mail to Roger Bartlett, 9 Nov 1998 (giving his name as Archie Frost Justiss and naming Archie Norris Justiss as his father). [S391] Mattie Mae Ellis, 6 Jan 1977 letter, above (naming A. N. Justis [sic] as his father and attributing information to Sue Burnett). [S67] The Dallas Morning News, Dallas, Tex., 23 Jan 1940, sec. I, p. 4 (obituary of Col. A. N. Justiss) (naming Col. A. N. Justiss as his father). [S1115] Edward Lynn Williams, electronic mail to Roger Bartlett, 9 Nov 1998 (naming Archie Norris Justiss as his father). Note*: • He was in the 1922 senior class of Corsicana High School, Corsicana, Texas. [S391] Mattie Mae Ellis, Rice, Tex., letter to Roger Bartlett, 6 Jan 1977 (naming A. N. Justis [sic] as his father and attributing information to Sue Burnett). [S1207] Corsicana Daily Sun, Corsicana, Tex., online archive at http://corsicana.newspaperarchive.com, 14 Sep 1966, p. 1, col. 2 (obituary of Mrs. A. N. Justiss) (naming Mrs. A. N. Justiss as his mother). [S190] Navarro County Cemetery Records, vol. 10 (Corsicana, Tex. : The Navarro County Gen. Soc'y, 1990), p. 111. [S312] Social Security Death Index, online at http://tinyurl.com/AncestrySSDI, viewed on 5 Oct 2002. [S312] Social Security Death Index, online at http://tinyurl.com/AncestrySSDI, viewed on 5 Oct 2002 (giving the date but not the place). [S1559] Texas Death Index, 1964-1998, online at https://www.familysearch.org, record for Alton Norris Justiss, viewed on 28 Jan 2019. [S779] "Nearly One Thousand Have Graduated from Corsicana High School Since 1884," Corsicana Daily Sun, Corsicana, Tex., 10 May 1923, as reprinted in Navarro Leaves & Branches, vol. XXV, no. III (Aug 2002), p. 6 (first bullet). [S1568] Irvin Samuels, "Banking and Business in the Good Ol' Days" (1994), in Navarro Leaves and Branches, vol. 42, issue 1 (Mar 2019), pp. 25-26 (second bullet). Other Names*: Archibald Justiss, Archie Justiss, Frost Justiss. [S391] Mattie Mae Ellis, Rice, Tex., letter to Roger Bartlett, 6 Jan 1977 (giving his name as Archibald Justis [sic], naming A. N. Justis [sic] as his father, and attributing information to Sue Burnett). [S11] Index to Texas Death Records (Austin, Tex. : Tex. Dept. of Health, Bur. of Vital Statistics), typescript, 1985 (microfiche), p. 1040, file 63667-85. Other Names*: Lina Frost, Angelina Azalea Frost, Angelina Frost, Lina Frost Jester, Angelina Frost Jester. [S189] Navarro County Cemetery Records, vol. 9 (Corsicana, Tex. : The Navarro County Gen. Soc'y, 1989), p. 32 (giving the year but not the rest of the date or the place). [S312] Social Security Death Index, online at http://tinyurl.com/AncestrySSDI, viewed on 9 Mar 1998 (giving the date but not the place). [S742] John Stovall, electronic mail to Roger Bartlett, 7 May 2002, (giving the date but not the place). [S1167] Levi Jester Three Generation Family Outline, online http://www.rootsweb.com/~txnavarr/biographies/j/…, viewed on 26 Sep 2007 (giving the date but not the place). [S159] Alice Duggan Gracy, Jane Sumner, and Emma Gene Seale Gentry, comps., Early Texas Birth Records 1838-1878 (Easley, S.C.: Southern Hist. Press, 1978), vol. II, p. 103. [S15] Navarro County, Texas Marriages, vol. 2, 1889-1899 (Corsicana, Tex. : The Navarro County Gen. Soc'y, 1987), p. 164 (citing Navarro County, Texas Marriage Records, vol. IX, p. 94). [S11] Index to Texas Death Records (Austin, Tex. : Tex. Dept. of Health, Bur. of Vital Statistics), typescript, 1965, vol. 2, p. 688, file 29122 (giving the county, state, and date but not the city). [S189] Navarro County Cemetery Records, vol. 9, above, p. 32 (giving the date but not the place). [S438] Edward Lynn Williams, electronic mail to Roger Bartlett, 2 Nov 1998 (giving the county, state, and date but not the city). [S67] The Dallas Morning News, Dallas, Tex., 5 May 1965, sec. 4, p. 4 (obituary of Mrs. Lina F. Jester). [S1115] Edward Lynn Williams, electronic mail to Roger Bartlett, 9 Nov 1998 (giving the county, state, and date but not the city). [S742] John Stovall, electronic mail to Roger Bartlett, 7 May 2002, (giving the place but not the date). [S67] The Dallas Morning News, Dallas, Tex., 5 May 1965, sec. 4, p. 4 (obituary of Mrs. Lina F. Jester) (mistating the cemetery name as Oakland). [S391] Mattie Mae Ellis, Rice, Tex., letter to Roger Bartlett, 6 Jan 1977 (naming Lina Frost as her mother and attributing information to Sue Burnett). [S438] Edward Lynn Williams, electronic mail to Roger Bartlett, 2 Nov 1998 (naming Lina Frost as her mother). [S742] John Stovall, electronic mail to Roger Bartlett, 7 May 2002, (naming Lina Azalea Frost as her mother). [S67] The Dallas Morning News, Dallas, Tex., 5 May 1965, sec. 4, p. 4 (obituary of Mrs. Lina F. Jester) (naming Mrs. Lina Frost Jester as the mother of Kathrin [sic] Brashear). George E. Jester, from a newspaper obituary. [S1167] Levi Jester Three Generation Family Outline, online http://www.rootsweb.com/~txnavarr/biographies/j/…, viewed on 26 Sep 2007 (naming Charles Wesley Jester as his father). [S438] Edward Lynn Williams, electronic mail to Roger Bartlett, 2 Nov 1998 (naming Eliza ['Lisa'] Rakestraw as his mother). [S1167] Levi Jester Three Generation Family Outline, online, above, viewed on 26 Sep 2007 (naming M. Eliza ['Lisa'] Rakestraw as his mother). [S189] Navarro County Cemetery Records, vol. 9 (Corsicana, Tex. : The Navarro County Gen. Soc'y, 1989), p. 32 (giving the date but not naming the place). [S438] Edward Lynn Williams, electronic mail to Roger Bartlett, 2 Nov 1998 (stating that he was born on 14 Oct 1869 in Texas). [S1115] Edward Lynn Williams, electronic mail to Roger Bartlett, 9 Nov 1998 (stating that he was born on 14 Oct 1869 in Texas). [S1167] Levi Jester Three Generation Family Outline, online, above, viewed on 26 Sep 2007 (stating that he was born on 14 Oct 1869 in Texas). [S67] The Dallas Morning News, Dallas, Tex., 23 Oct 1935, sec. I, p. 2 (obituary of George E. Jester) (not giving the date or place but stating that he was sixty-six years old when he died on 22 Oct 1935 and that he was a native of Corsicana, Texas). [S11] Index to Texas Death Records (Austin, Tex. : Tex. Dept. of Health, Bur. of Vital Statistics), typescript, 1903-40, vol. 26, p. 12913, file 48164 (giving the date and county). [S438] Edward Lynn Williams, electronic mail to Roger Bartlett, 2 Nov 1998 (giving the date and county). [S67] The Dallas Morning News, Dallas, Tex., 23 Oct 1935, sec. I, p. 2 (obituary of George E. Jester). [S67] The Dallas Morning News, Dallas, Tex., 23 Oct 1935, sec. I, p. 2 (obituary of George E. Jester) (stating that funeral services would be on 23 Oct 1935 but not giving the date or place of burial). [S151] Annie Carpenter Love, History of Navarro County (Dallas, Tex. : Southwest Press, 1933), pp. 136, 262 (giving information about his occupation). [S391] Mattie Mae Ellis, Rice, Tex., letter to Roger Bartlett, 6 Jan 1977 (naming George E.Jester as her father and attributing information to Sue Burnett). [S438] Edward Lynn Williams, electronic mail to Roger Bartlett, 2 Nov 1998 (naming George E. Jester as her father). [S742] John Stovall, electronic mail to Roger Bartlett, 7 May 2002, (naming George Ernest Jester as her father). [S391] Mattie Mae Ellis, 6 Jan 1977 letter, above (naming Lina Frost as her mother and attributing information to Sue Burnett). [S312] Social Security Death Index, online at http://tinyurl.com/AncestrySSDI, viewed on 27 Sep 2002 (stating that she died on 7 apr 1997; not naming the place of death but stating that she lived in Denton, Tex. when she died). "Funeral services for Roger Frost aged 65 years, who died at the Navarro Clinic Saturday night, were held Monday morning at 11 o'clock from the chapel of the Sutherland - McCammon Funeral Home. Rev E. F. Bohmfalk, pastor of the First Methodist church, conducted the rites. Burial was in Oakwood cemetery. "Mr. Frost was a native of Corsicana, the son of the late Judge and Mrs. S. R. Frost. For the past several years he had been connected with the Houston Oil Company and made his headquarters at Taft. "Surviving are four sisters, Mrs. A. N. Justiss, Corsicana; Mrs. George E. Jester, Dallas; Mrs. Max Almond, Corsicana; Mrs. Guy Gibson, Corsicana; a brother, Barry Frost, Corsicana, and other relatives. [S185] Standard certificate of death (Texas Department of Health, Bureau of Vital Statistics) no. 4094 for Roger Frost, filed with local registrar on 21 Jan 1943, Mrs. A. N. Justiss, informant, per copy provided by Texas Department of Health, Bureau of Vital Statistics, to Roger Bartlett on 29 Aug 1996, (naming Sam R. Frost as his father). [S1207] Corsicana Daily Sun, Corsicana, Tex., online archive at http://corsicana.newspaperarchive.com, 18 Jan 1943, p. 3, col. 1 (obituary of Roger Frost) (naming Judge S. R. Frost as his father). [S185] Death certificate for Roger Frost, above. [S189] Navarro County Cemetery Records, vol. 9 (Corsicana, Tex. : The Navarro County Gen. Soc'y, 1989), p. 112 (date of birth) (giving his name as Samuel Rogers Frost, Jr.). [S1115] Edward Lynn Williams, electronic mail to Roger Bartlett, 9 Nov 1998 (giving his name as Samuel Roger Frost, Jr.). [S189] Navarro County Cemetery Records, vol. 9, above, p. 112 (giving the date but not the place) (giving his name as Samuel Rogers Frost, Jr.). [S1207] Corsicana Daily Sun, Corsicana, Tex., online archive, above, 18 Jan 1943, p. 3, col. 1 (obituary of Roger Frost) (stating that he died on Saturday night, which would have been 16 Jan, at Navarro Clinic). [S189] Navarro County Cemetery Records, vol. 9, above, p. 112 (giving his name as Samuel Rogers Frost, Jr.) (giving the place but not the date). [S1207] Corsicana Daily Sun, Corsicana, Tex., online archive, above, 18 Jan 1943, p. 3, col. 1 (obituary of Roger Frost) (naming the cemetery and indicating that burial was on Monday, 18 Jan 1943). [S189] Navarro County Cemetery Records, vol. 9, above, p. 112 (giving his name as Samuel Rogers Frost, Jr.). [S1207] Corsicana Daily Sun, Corsicana, Tex., online archive, above, 18 Jan 1943, p. 3, col. 1. [S185] Death certificate for Roger Frost, above, (giving his residence and occupation at death). [S391] Mattie Mae Ellis, Rice, Tex., letter to Roger Bartlett, 6 Jan 1977 (stating that he never married and attributing information to Sue Burnett). [S1115] Edward Lynn Williams, electronic mail to Roger Bartlett, 9 Nov 1998 (giving his name as Samuel Roger Frost, Jr. and stating that he died on 16 Jan 1943 in Corsicana, Texas). [S1207] Corsicana Daily Sun, Corsicana, Tex., online archive, above, 18 Jan 1943, p. 3, col. 1 (obituary of Roger Frost) (stating that he was connected with Houston Oil Co. and made his headquarters at Taft, Texas). [S137] Index to Texas Delayed Probate Birth Records (Austin, Tex. : Tex. Dept. of Health, Bur. of Vital Statistics), sec. 2, vol. 4, p. 1955, file 1282968. [S190] Navarro County Cemetery Records, vol. 10 (Corsicana, Tex. : The Navarro County Gen. Soc'y, 1990), p. 69 (date of birth). [S31] Navarro Leaves and Branches, vol. XVI, no. I (Feb 1993), p. 7 (citing Navarro County, Tex. Marriage Records, bk. XIV, p. 147). [S391] Mattie Mae Ellis, Rice, Tex., letter to Roger Bartlett, 6 Jan 1977 (not giving the date or place and attributing information to Sue Burnett). [S67] The Dallas Morning News, Dallas, Tex., 31 Jan 1903, p. 8. [S11] Index to Texas Death Records (Austin, Tex. : Tex. Dept. of Health, Bur. of Vital Statistics), typescript, 1979 (microfiche), p. 31, file 7403-79. [S190] Navarro County Cemetery Records, vol. 10, above, p. 69 (giving only the date). [S190] Navarro County Cemetery Records, vol. 10, above, p. 69. [S391] Mattie Mae Ellis, 6 Jan 1977 letter, above (naming Wilmac Frost as his mother and attributing information to Sue Burnett). [S391] Mattie Mae Ellis, 6 Jan 1977 letter, above (naming Wilmac Frost as her mother and attributing information to Sue Burnett). [S585] Corsicana Daily Sun, Corsicana, Tex., online at http://www.corsicanadailysun.com viewed on 11 Jul 2011 (obituary of Beth Almond Harris) (naming Wilmac Almond as her mother). [S391] Mattie Mae Ellis, 6 Jan 1977 letter, above (giving his name as Jack Almond, naming Wilmac Frost as his mother, and attributing information to Sue Burnett). Max D. Almond, 67, long-time vice president and general manager of the Whiteselle Brick and Lumber company, died Saturday morning about 1 o’clock at his home, 1559 West Third avenue, with a heart attack. Funeral services are scheduled Sunday afternoon at 3 o’clock from St. John’s Episcopal Church with burial in Oakwood cemetery. The rites will be conducted by Rev. Alex B. Hanson, rector of the parish. A native of Waco, Almond was reared in Gainesville, and prior to becoming vice president and general manager of the local concern was employed by the Luther and Moore lumber interests in Orange and later as sales manager of the Alexander-Gilmer Lumber company at Remlig, Texas. Almond was a veteran of the Spanish-American war, and was prominent in lumber circles throughout the Southwest, frequently attending the regional and national conferences and meetings. Almond was a member of Corsicana Lodge No. 63, IOOF. Surviving are his wife, two sons, Max D. Almond, Jr., Corsicana, and John B. (Jack) Almond, U. S. Air Forces, Camp Wolters, Texas; a daughter, Mrs. John N. Harris, now of Corsicana, formerly of Dallas before her husband was sent to Brazil in the U. S. Army; two sisters Mrs. Herbert Jones, Los Angeles, Calif; and Mrs. Fred M. Gates, Wichita Falls, and other relatives. Pallbearers will be W. E. Slaughter, T. A. Blakeney, Clarence Crowson, S. K. Brietz, Guy M. Gibson, J. N. Garitty, C. B. Stroud, and Mayor John C. Calhoun. Honorary pallbearers will be friends of the family. [S190] Navarro County Cemetery Records, vol. 10 (Corsicana, Tex. : The Navarro County Gen. Soc'y, 1990), p. 69 (giving the date but not the place). [S67] The Dallas Morning News, Dallas, Tex., 6 Jun 1943, sec. I, p. 4 (obituary of Max D. Almond) (stating that he was a native of Waco, Texas; not giving the date but stating that he was sixty-seven years old when he died on 5 Jun 1943). [S961] Find A Grave, online at http://www.findagrave.com, memorial for Maxwell D. Almond, Sr., memorial no. 33760508, viewed on 16 Mar 2012 (giving the date but no other information). [S67] The Dallas Morning News, Dallas, Tex., 6 Jun 1943, sec. I, p. 4 (obituary of Max D. Almond). [S1207] Corsicana Daily Sun, Corsicana, Tex., online archive at http://corsicana.newspaperarchive.com, 5 Jun 1943, p. 1, col. 1 (obituary of Max D. Almond) (stating that he died about 1:00 a.m. of a heart attack). [S190] Navarro County Cemetery Records, vol. 10, above, p. 69 (giving the place but not the date). [S961] Find A Grave, online, above, memorial for Maxwell D. Almond, Sr., memorial no. 33760508, viewed on 16 Mar 2012. [S1207] Corsicana Daily Sun, Corsicana, Tex., online archive, above, 5 Jun 1943, p. 1, col. 1 (obituary of Max D. Almond). [S1207] Corsicana Daily Sun, Corsicana, Tex., online archive, above, 5 Jun 1943, p. 1, col. 1. [S391] Mattie Mae Ellis, 6 Jan 1977 letter, above (naming Maxwell D. Almond as his father and attributing information to Sue Burnett). [S391] Mattie Mae Ellis, 6 Jan 1977 letter, above (naming Maxwell D. Almond as her father and attributing information to Sue Burnett). [S585] Corsicana Daily Sun, Corsicana, Tex., online at http://www.corsicanadailysun.com viewed on 11 Jul 2011 (obituary of Beth Almond Harris) (naming Max Almond as her father). [S391] Mattie Mae Ellis, 6 Jan 1977 letter, above (giving his name as Jack Almond, naming Maxwell D. Almond as his father, and attributing information to Sue Burnett). Other Names*: Max Almond, Douglas Almond. [S391] Mattie Mae Ellis, Rice, Tex., letter to Roger Bartlett, 6 Jan 1977 (naming Maxwell D. Almond as his father and attributing information to Sue Burnett). [S312] Social Security Death Index, online at http://tinyurl.com/AncestrySSDI, Maxwell D. Almond, viewed on 16 Mar 2012. [S312] Social Security Death Index, online at http://tinyurl.com/AncestrySSDI, viewed on 30 Apr 2006 (stating that he died on 11 May 1999; not naming the place of death but stating that he lived in Tyler, Texas when he died). Beth Almond Harris, from Corsicana Daily Sun web site. 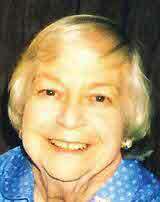 "Mrs. Beth Harris, 95, of Corsicana, passed away Sunday, July 3, 2011, at The Forum at Park Lane in Dallas. "She was born Jan. 29, 1916, to Wilmac and Max Almond, a long time Corsicana pioneer family. She graduated from Corsicana High School in 1933 and went on to graduate from SMU. She taught 5th grade at Hockaday School for 20 years. She was a member of St. John’s Episcopal Church. "Mrs. Harris was preceded in death by her parents, Max and Wilmac Almond; and brothers, Jack Almond and Douglas Almond. "Services will be held at 10 a.m. on Thursday, July 7, 2011, at Corley Funeral Home Chapel with Father Ed Monk officiating. Interment will follow at Oakwood Cemetery. "Pallbearers will be friends of the family. • Her Find A Grave memorial, which includes her obituary in the Dallas Morning News, is here. [S391] Mattie Mae Ellis, Rice, Tex., letter to Roger Bartlett, 6 Jan 1977 (naming Maxwell D. Almond as her father and attributing information to Sue Burnett). [S585] Corsicana Daily Sun, Corsicana, Tex., online at http://www.corsicanadailysun.com viewed on 11 Jul 2011 (obituary of Beth Almond Harris) (giving the date but not the place). [S961] Find A Grave, online at http://www.findagrave.com, memorial for Beth Almond Harris, memorial no. 72961864, viewed on 14 Jul 2015. [S585] Corsicana Daily Sun, Corsicana, Tex., online at http://www.corsicanadailysun.com viewed on 11 Jul 2011 (obituary of Beth Almond Harris). [S585] Corsicana Daily Sun, Corsicana, Tex., online at http://www.corsicanadailysun.com viewed on 11 Jul 2011 (reprinted here with consent of the Corsicana Daily Sun). Other Names*: John Bartlett Almond, John Almond, Jack Bartlett Almond, Jack Almond. Obituary Abstract*: JOHN BARTLETT ALMOND, 75. Born, resided all his life, and died in his home at 1559 West Third Avenue, Corsicana, Texas. Born 1 Oct 1923 [probably should be 1 Oct 1922]; died Thursday, 21 May 1998. Funeral at 2:00 p.m., Monday, 25 May 1998, Corley Funeral Chapel, Corsicana, The Very Rev. Denis Smart of St. John's Episcopal Church officiating. Burial in Oakwood Cemetery, Corsicana. Descendant of the Frosts, the Winklers, the Bartletts, and the Almonds, pioneer families who came to Texas from Virginia and North Carolina in the early 1800's. Youngest child of Mr. and Mrs. Maxwell D. Almond. Graduate of Corsicana High School; attended University of Texas at Austin, where he pledged Sigma Alpha Epsilon. Volunteered for U.S. Air Force [U.S. Army Air Corps] at age 17, at beginning of World War II. Served in South Pacific and in Osaka, Japan during the occupation. Resumed his education at North Texas State University [North Texas State Teachers College], graduating with business degree. [S391] Mattie Mae Ellis, Rice, Tex., letter to Roger Bartlett, 6 Jan 1977 (giving his name as Jack Almond, naming Maxwell D. Almond as his father, and attributing information to Sue Burnett). [S137] Index to Texas Delayed Probate Birth Records (Austin, Tex. : Tex. Dept. of Health, Bur. of Vital Statistics), vol. 1, p. 304, file 543553. [S312] Social Security Death Index, online at http://tinyurl.com/AncestrySSDI, viewed on 5 Sep 1998 (giving only the date). [S67] The Dallas Morning News, Dallas, Tex., 25 May 1998, n.p. [S67] The Dallas Morning News, Dallas, Tex., 25 May 1998, n.p. (obituary of John Bartlett Almond). [S312] Social Security Death Index, online at http://tinyurl.com/AncestrySSDI, viewed on 5 Sep 1998. "Funeral services for Barry Frost, 66, life-long Corsicana resident, who died Wednesday [18 Jul 1951], were held from the McCammon Chapel at 10:30 a. m. Friday. "The rites were conducted by Dr. Chet C. Henson, pastor of the First Methodist church. Burial was in Oakwood cemetery. "Surviving are a son, Sam Frost, Richland; two daughters, Mrs. Brooks Allen, Tulsa, and Mrs. G. L. Neal, Houston; four sisters, Mrs. A. N. Justiss, Mrs. George E. Jester, Mrs. Max D. almond and Mrs. Guy M. Gibson, all of Corsicana, and other relatives. [S961] Find A Grave, online at http://www.findagrave.com, memorial for Barry Frost, memorial no. 53653139, viewed on 24 Feb 2014. [S1207] Corsicana Daily Sun, Corsicana, Tex., online archive at http://corsicana.newspaperarchive.com, 20 Jul 1951, p. 2, col. 5 (obituary of Barry Frost) (not giving the date but stating that he was sixty-six years old when he died on 18 Jul 1951). [S189] Navarro County Cemetery Records, vol. 9, above, p. 112 (giving the date but not the place). [S11] Index to Texas Death Records (Austin, Tex. : Tex. Dept. of Health, Bur. of Vital Statistics), typescript, 1946-55, vol. 7, p. 3413, file 37172. [S1115] Edward Lynn Williams, electronic mail to Roger Bartlett, 9 Nov 1998 (stating that he died in Jul 1951 in Navarro County, Texas). [S961] Find A Grave, online, above, memorial for Barry Frost, memorial no. 53653139, viewed on 24 Feb 2014 (giving the year but no other information). [S189] Navarro County Cemetery Records, vol. 9, above, p. 112 (not giving the date). [S961] Find A Grave, online, above, memorial for Barry Frost, memorial no. 53653139, viewed on 24 Feb 2014 (not giving the date). [S1207] Corsicana Daily Sun, Corsicana, Tex., online archive, above, 20 Jul 1951, p. 2, col. 5 (obituary of Barry Frost). [S1207] Corsicana Daily Sun, Corsicana, Tex., online archive, above, 20 Jul 1951, p. 2, col. 5 (reprinted here with consent of the Corsicana Daily Sun, with obvious typographical errors corrected). [S391] Mattie Mae Ellis, Rice, Tex., letter to Roger Bartlett, 6 Jan 1977 (naming Barry Frost as her father and attributing information to Sue Burnett). [S961] Find A Grave, online, above, memorial for Neva Louise Allen-Whitten, memorial no. 62520392, viewed on 24 Feb 2014 (naming Barry Frost as her father). [S391] Mattie Mae Ellis, 6 Jan 1977 letter, above (naming Barry Frost as his father and attributing information to Sue Burnett). [S391] Mattie Mae Ellis, Rice, Tex., letter to Roger Bartlett, 6 Jan 1977 (naming Barry Frost as his father and attributing information to Sue Burnett). [S961] Find A Grave, online at http://www.findagrave.com, memorial for Sam R. Frost, memorial no. 13945851, viewed on 24 Feb 2014. Neva Louise Frost Allen-Whitten, courtesy of Kathy Tesh. Other Names*: Neva Frost, Neva Louise Frost Allen, Neva Louise Allen, Neva Frost Allen, Neva Allen, Neva Louise Frost Whitten, Neva Louise Whitten, Neva Frost Whitten, Neva Whitten, Neva Louise Frost Allen-Whitten, Neva Louise Allen-Whitten, Neva Frost Allen-Whitten, Neva Allen-Whitten. [S961] Find A Grave, online at http://www.findagrave.com, memorial for Neva Louise Allen-Whitten, memorial no. 62520392, viewed on 24 Feb 2014 (naming Barry Frost as her father). [S961] Find A Grave, online, above, memorial for Robert Brooks Allen, memorial no. 73235926, viewed on 24 Feb 2014. [S391] Mattie Mae Ellis, 6 Jan 1977 letter, above (naming Joe Leuce Lockhart as her mother and attributing information to Sue Burnett). [S961] Find A Grave, online, above, memorial for Neva Louise Allen-Whitten, memorial no. 62520392, viewed on 24 Feb 2014 (naming Jo Lena Frost as her mother). [S298] Wyvonne Putman, "Judge Samuel Romulus Frost," in Navarro County Scroll 1988 (Corsicana, Tex. : The Navarro County Hist. Soc'y, 1967), pp. 10-18, p. 18 (spelling her name as Clio and naming Samuel Romulus Frost as her father). [S391] Mattie Mae Ellis, Rice, Tex., letter to Roger Bartlett, 6 Jan 1977 (not giving the date and attributing information to Sue Burnett). [S1115] Edward Lynn Williams, electronic mail to Roger Bartlett, 9 Nov 1998 (giving the year but no other information). [S31] Navarro Leaves and Branches, vol. 31, no. 4 (Nov 2008), p. 12(citing Navarro Co., Tex. Marriage Records, bk, XVII, p. 373). [S11] Index to Texas Death Records (Austin, Tex. : Tex. Dept. of Health, Bur. of Vital Statistics), typescript, 1969, vol. 2, p. 532, file 70889 (giving her name as Clio [sic] Frost Gibson). [S391] Mattie Mae Ellis, 6 Jan 1977 letter, above (naming Cleo Frost as her mother and attributing information to Sue Burnett). [S1115] Edward Lynn Williams, electronic mail to Roger Bartlett, 9 Nov 1998 (naming Cleo Frost as her mother). [S1115] Edward Lynn Williams, electronic mail to Roger Bartlett, 9 Nov 1998 (naming Cleo Frost as his mother). "Funeral services for Guy M. Gibson, 67, long-time Corsicana resident, who died at the Navarro clinic Monday morning, were held Tuesday afternoon at 3 o’clock from the First Methodist Church. The rites were conducted by Rev. 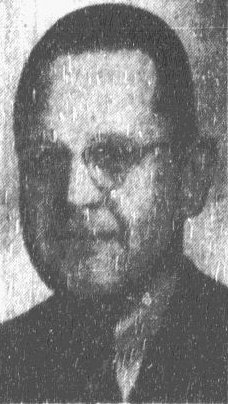 Erwin F. Bohmfalk, pastor of the church, of which Gibson was a long-time member and teacher of the Brotherhood Bible class. Burial was in Oakwood cemetery. "A native of Mississippi, he was educated at Midlothian, and came to Corsicana as a young man. At the time of his death he operated extensive land interests near the site where Richland and Chambers creeks converge in southeast Navarro county and formerly was in the oil business. He had served for years as a levee improvement district supervisor, and was president of the Corsicana Warehouse company for a number of years. "Surviving are his wife, Mrs. Cleo Frost Gibson, Corsicana; two sons, Guy Gibson, Jr., Corsicana, and First Lt. Billy Gibson, U.S. Army Germany; two daughters, Mrs. L. P. Livingston, Temple, and Mrs. Newton Burnett, Jackson, Miss; a granddaughter, a brother, Gene Gibson, San Antonio; three sisters, Mrs. Thad Barrington and Mrs. Dudley Gatewood, both of Ennis; and Mrs. Charles Hine, Los Angeles, and other relatives. "Pallbearers were Supreme Court Judge, John Sharp, Austin; John R. Alford, Henderson; John Harper, Longview; Congressman Luther A. Johnson, Roy Love, A. G. Elliott; L. J. Griffin, E. E. Babers and N. C. Goodman. "Honorary pallbearers were members of the Brotherhood class. Note*: • One source gives 13 Jul 1878 as his birth date. With both of his parents dead by the time he was 24, and being the oldest of the children, he raised most of his brothers and sisters. His sister, Ola Corrinne, married Will Bartlett, a second cousin of Cleo Frost, Guy's wife. [S190] Navarro County Cemetery Records, vol. 10 (Corsicana, Tex. : The Navarro County Gen. Soc'y, 1990), p. 71 (giving the date but not the place). [S961] Find A Grave, online at http://www.findagrave.com, memorial for Guy Moore Gibson, Sr., memorial no. 33928882, viewed on 17 Aug 2013 (giving the date but not the place). [S1207] Corsicana Daily Sun, Corsicana, Tex., online archive at http://corsicana.newspaperarchive.com, 13 Nov 1945, p. 5, cols. 7-8 (obituary of Guy M. Gibson) (stating that he was a native of Mississippi without giving the date). [S11] Index to Texas Death Records (Austin, Tex. : Tex. Dept. of Health, Bur. of Vital Statistics), typescript, 1941-45, vol. 4, p. 1910, file 49995. [S190] Navarro County Cemetery Records, vol. 10, above, p. 71 (date of death). [S190] Navarro County Cemetery Records, vol. 10, above, p. 71. [S961] Find A Grave, online, above, memorial for Guy Moore Gibson, Sr., memorial no. 33928882, viewed on 17 Aug 2013 (not giving the date). [S1207] Corsicana Daily Sun, Corsicana, Tex., online archive, above, 13 Nov 1945, p. 5, cols. 7-8 (obituary of Guy M. Gibson). [S1207] Corsicana Daily Sun, Corsicana, Tex., online archive, above, 13 Nov 1945, p. 5, cols. 7-8 (reprinted here with consent of the Corsicana Daily Sun, with obvious typographical errors corrected). [S95] Mrs. A. D. Ellis, "Gibson Family," above (first bullet). [S1207] Corsicana Daily Sun, Corsicana, Tex., online archive, above, 13 Nov 1945, p. 5, cols. 7-8 (obituary of Guy M. Gibson) (second bullet). [S391] Mattie Mae Ellis, 6 Jan 1977 letter, above (naming Guy Moore Gibson as her father and attributing information to Sue Burnett). [S1115] Edward Lynn Williams, electronic mail to Roger Bartlett, 9 Nov 1998 (naming Guy Moore Gibson, Sr. as her father). [S1115] Edward Lynn Williams, electronic mail to Roger Bartlett, 9 Nov 1998 (naming Guy Moore Gibson, Sr. as his father). [S391] Mattie Mae Ellis, Rice, Tex., letter to Roger Bartlett, 6 Jan 1977 (naming Guy Moore Gibson as her father and attributing information to Sue Burnett). [S391] Mattie Mae Ellis, 6 Jan 1977 letter, above (attributing information to Sue Burnett). [S11] Index to Texas Death Records (Austin, Tex. : Tex. Dept. of Health, Bur. of Vital Statistics), typescript, 1975, vol. 2, p. 964, file 1943. [S312] Social Security Death Index, online at http://tinyurl.com/AncestrySSDI, viewed on 11 Mar 1998 (stating that she died in Jan 1975; not naming the place of death but stating that she lived in Dallas, Texas when she died). Death*: She died in 1796. [S724] Descendants of Joseph and Peter Callaway (n.p. : The Callaway Family Association, Inc., 2000), pp. 4-5 (naming Jeremiah Early as her father). [S724] Descendants of Joseph and Peter Callaway, above, pp. 4-5 (naming Mary Burford as her mother). [S677] Mary J. Carter, "Callaways on the Move," The Callaway Journal, vol. 3, p. 16 (1978), p. 18 (citing Earle S. Dennis and Jane E. Smith, comp., Marriage Bonds of Bedford Co., Virginia - 1755-1800 "Letter from James Callaway on that date stating his intent to marry Miss Early in a few days"). [S724] Descendants of Joseph and Peter Callaway, above, p. 5 (naming Elizabeth Early as his mother). [S724] Descendants of Joseph and Peter Callaway, above, p. 5 (naming Elizabeth Early as her mother). [S724] Descendants of Joseph and Peter Callaway, above, p. 5 (naming Elizabeth Early as this child's mother). [S171] Index to Texas Delayed Certificates of Birth Filed Subsequent to January 1, 1960, 1-300,000 (Austin, Tex. : Tex. Dept. of Health, Bur. of Vital Statistics, 1975), vol. 4, p. 1719, file 38339. [S190] Navarro County Cemetery Records, vol. 10 (Corsicana, Tex. : The Navarro County Gen. Soc'y, 1990), p. 13 (giving the date but not the place). [S961] Find A Grave, online at http://www.findagrave.com, memorial for Sue Frost Gibson Burnett, memorial no. 33814018, viewed on 17 Aug 2013 (giving the date but not the place). [S11] Index to Texas Death Records (Austin, Tex. : Tex. Dept. of Health, Bur. of Vital Statistics), typescript, 1986 (microfiche), p. 263, file 64098-86. [S312] Social Security Death Index, online at http://tinyurl.com/AncestrySSDI, viewed on 11 Mar 1998 (stating that she died in Jul 1986; not naming the place of death but stating that she lived in Corsicana, Texas when she died). [S190] Navarro County Cemetery Records, vol. 10, above, p. 13. [S1115] Edward Lynn Williams, electronic mail to Roger Bartlett, 9 Nov 1998 (naming Sue Frost Gibson as her mother). [S961] Find A Grave, online, above, memorial for Anna Louise Burnett Clark, memorial no. 5299861, viewed on 17 Aug 2013 (naming Sue Frost Gibson as her mother). Boyd Frost (lower right) with sister Louise and mother, courtesy of John Stovall. [S11] Index to Texas Death Records (Austin, Tex. : Tex. Dept. of Health, Bur. of Vital Statistics), typescript, 1903-40, vol. 8, p. 3655, file 16996 (giving the date and county but not the city). [S1115] Edward Lynn Williams, electronic mail to Roger Bartlett, 9 Nov 1998 (giving the date and county but not the city). [S67] The Dallas Morning News, Dallas, Tex., 25 Mar 1937, sec. II, p. 6 (obituary of Mrs. R. L. Calkins) (stating that she died at her home that evening after an extended illness). [S67] The Dallas Morning News, Dallas, Tex., 26 Mar 1937, sec. I, p. 14 (obituary of Mrs. R. L. Calkins) (giving the date but not the place). [S189] Navarro County Cemetery Records, vol. 9, above, p. 112 (identifying her as "wife of R. L. Calkins" and not giving the date). [S67] The Dallas Morning News, Dallas, Tex., 25 Mar 1937, sec. II, p. 6 (obituary of Mrs. R. L. Calkins). [S67] The Dallas Morning News, Dallas, Tex., 26 Mar 1937, sec. I, p. 14 (obituary of Mrs. R. L. Calkins). Richard Lee Calkins, from microfilm of newspaper obituary. R. L. Calkins, former Corsicana resident and business man, died in Garland early Monday morning, according to information received here. He had been a merchant at Garland for a number of years and was in the automobile business here for many years as a member of the Boynton and Calkins firm, Ford dealers. Surviving are his wife, of Garland; a son, R. L. Calkins, Jr., Kansas City, Kan; a daughter, Mrs. Ted Deskin, Waco; several grandchildren and other relatives. Calkins was a prominent member of the Masonic Lodge. [S67] The Dallas Morning News, Dallas, Tex., 15 Jan 1957, pt. 3, p. 3 (obituary of Richard Lee Calkins). [S67] The Dallas Morning News, Dallas, Tex., 15 Jan 1957, pt. 3, p. 3 (obituary of Richard Lee Calkins) (stating that he died at his home in Garland after a year's illness). [S1207] Corsicana Daily Sun, Corsicana, Tex., online archive at http://corsicana.newspaperarchive.com, 14 Jan 1957, p. 6 (obituary of R. L. Calkins). [S1207] Corsicana Daily Sun, Corsicana, Tex., online archive, above, 30 Oct 1918, p. 5, col. 4, "The Sick and Convalescent." [S1207] Corsicana Daily Sun, Corsicana, Tex., online archive, above, 14 Jan 1957, p. 6 (reprinted here with consent of the Corsicana Daily Sun). 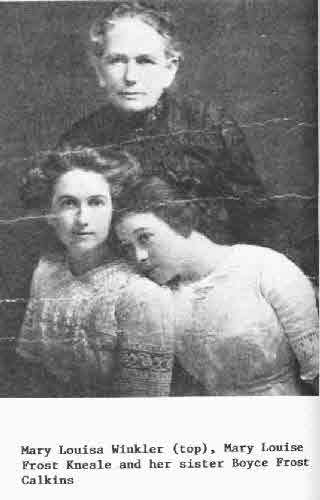 Louise Frost (lower left) with sister Boyd and mother, courtesy of John Stovall. [S578] Patsy Patterson, electronic mail to Roger Bartlett, 23 Jul 2000. [S312] Social Security Death Index, online at http://tinyurl.com/AncestrySSDI, viewed on 7 Aug 2000. [S312] Social Security Death Index, online at http://tinyurl.com/AncestrySSDI, viewed on 7 Aug 2000 (stating that he died on 12 Apr 2000; not naming the place of death but stating that he lived in Tulsa, Okla. when he died). [S69] Wayne M. Harris, "A. W. Meredith Family," above (year only). [S69] Wayne M. Harris, "A. W. Meredith Family," above (giving his name as Jim H. Harris and not giving the date or place). [S72] Wayne M. Harris, "James A. Harris Family," in The History of Van Zandt County, Texas (Wills Point, Tex. : Van Zandt County Gen. Soc'y, 1984), pp. 278-79, (stating that they married in 1909 without naming the place). [S219] Juanita Mayberry, family group record, 5 Oct 1975, above (giving his name as James Harris and not naming the place). [S923] Marriage Records, 1909-1931, Van Zandt County, Texas (Wills Point, Tex. : Van Zandt County Gen. Soc'y, 1993), pp. 34, 144 (citing Van Zandt Co., Tex. Marriage Records, bk. 10, p. 37). [S11] Index to Texas Death Records (Austin, Tex. : Tex. Dept. of Health, Bur. of Vital Statistics), typescript, 1956, vol. 2, p. 520, file 50683. [S72] Wayne M. Harris, "James A. Harris Family," above, (giving only the date). [S219] Juanita Mayberry, family group record, 5 Oct 1975, above (giving only the month and year). [S236] Photograph of grave marker provided by Charles O. Richardson, Jr. on 14 Apr 1997, above (common stone with Jim H. Harris). [S72] Wayne M. Harris, "James A. Harris Family," in The History of Van Zandt County, Texas (Wills Point, Tex. : Van Zandt County Gen. Soc'y, 1984), pp. 278-79, (stating that James A. Harris was his father). [S137] Index to Texas Delayed Probate Birth Records (Austin, Tex. : Tex. Dept. of Health, Bur. of Vital Statistics), sec. 2, vol. 5, p. 2493, file 1037257. [S69] Wayne M. Harris, "A. W. Meredith Family," in The History of Van Zandt County, Texas (Wills Point, Tex. : Van Zandt County Gen. Soc'y, 1984), pp. 360-61 (giving only the year and not naming the place). [S72] Wayne M. Harris, "James A. Harris Family," above, (stating that they married in 1909 without naming the place). [S219] Juanita Mayberry, family group record sent to Roger Bartlett, 5 Oct 1975 (giving his name as James Harris and not naming the place). [S11] Index to Texas Death Records (Austin, Tex. : Tex. Dept. of Health, Bur. of Vital Statistics), typescript, 1946, vol. 1, p. 441, file 57732. [S236] Photograph of grave marker provided by Charles O. Richardson, Jr. on 14 Apr 1997, above (common stone with Corinne M. Harris). [S219] Juanita Mayberry, family group record, 5 Oct 1975, above (naming Jim (James) Harris as Jane Harris's father). [S72] Wayne M. Harris, "James A. Harris Family," above, (naming James H. Harris as her father). [S69] Wayne M. Harris, "A. W. Meredith Family," above (naming Jim H. Harris as her father). [S219] Juanita Mayberry, family group record, 5 Oct 1975, above (naming Jim (James) Harris as his father). 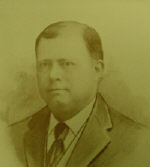 [S72] Wayne M. Harris, "James A. Harris Family," above, (naming James H. Harris as his father). [S69] Wayne M. Harris, "A. W. Meredith Family," above (naming Jim H. Harris as his father). [S172] Van Zandt County, Texas Cemeteries, Book 3 (Canton, Tex. : Friends for Historic Preservation, 1987), p. 66. [S219] Juanita Mayberry, family group record, 5 Oct 1975, above (giving his name as Carl M. Greer and not naming the place). [S11] Index to Texas Death Records (Austin, Tex. : Tex. Dept. of Health, Bur. of Vital Statistics), typescript, 1981 (microfiche), p. 719, file 32741-81. [S312] Social Security Death Index, online at http://tinyurl.com/AncestrySSDI, viewed on 24 Mar 1998 (stating that she died in Apr 1981; not naming the place of death but stating that she lived in Austin, Texas when she died and that last benefits were sent to an address in Canton, Texas). [S124] Austin American-Statesman, Austin, Tex., 11 Apr 1981, p. B7 (obituary of Waynie Greer) (giving the date but not naming the place). [S172] Van Zandt County, Texas Cemeteries, Book 3, above, p. 66 (giving ony the date). [S236] Photograph of grave marker provided by Charles O. Richardson, Jr. on 14 Apr 1997, above (identifying the place but not giving the date). [S124] Austin American-Statesman, Austin, Tex., 11 Apr 1981, p. B7 (obituary of Waynie Greer). [S219] Juanita Mayberry, family group record, 5 Oct 1975, above (stating that she was born on 2 Sep 1883). [S223] Juanita Mayberry, 1705 Willow Rd., Carrollton, Tex. 75006, letter to Roger Bartlett, 18 Jul 1975 (giving Lady as her nickname). [S69] Wayne M. Harris, "A. W. Meredith Family," in The History of Van Zandt County, Texas (Wills Point, Tex. : Van Zandt County Gen. Soc'y, 1984), pp. 360-61 (giving her name as Lucia Meredith and naming Anthony Wayne Meredith as her father). [S219] Juanita Mayberry, family group record, 5 Oct 1975, above (giving the date as 24 Jan without the year). [S923] Marriage Records, 1909-1931, Van Zandt County, Texas (Wills Point, Tex. : Van Zandt County Gen. Soc'y, 1993), pp. 51, 144 (citing Van Zandt Co., Tex. Marriage Records, bk. 13, p. 85). [S312] Social Security Death Index, online at http://tinyurl.com/AncestrySSDI, viewed on 24 Mar 1998 (stating that she died in Jun 1986; not naming the place of death but stating that she lived in Canton, Texas when she died). [S223] Juanita Mayberry, 18 Jul 1975 letter, above (stating that they lived in Wills Point, Texas). [S219] Juanita Mayberry, family group record, 5 Oct 1975, above (stating that they married on 7 Mar 1923). [S69] Wayne M. Harris, "A. W. Meredith Family," in The History of Van Zandt County, Texas (Wills Point, Tex. : Van Zandt County Gen. Soc'y, 1984), pp. 360-61 (giving his name as Graham Meredith and naming Anthony Wayne Meredith as his father). [S137] Index to Texas Delayed Probate Birth Records (Austin, Tex. : Tex. Dept. of Health, Bur. of Vital Statistics), vol. 24, p. 11940, file 415804. [S219] Juanita Mayberry, family group record, 5 Oct 1975, above (giving the date as 27 Apr without a year). [S11] Index to Texas Death Records (Austin, Tex. : Tex. Dept. of Health, Bur. of Vital Statistics), typescript, 1968, vol. 3, p. 1023, file 77071 (giving his name as Graham James Meredith). [S312] Social Security Death Index, online at http://tinyurl.com/AncestrySSDI, viewed on 23 Mar 1998 (stating that he died in Oct 1968; not naming the place of death but stating that he lived in Dallas, Texas when he died). [S67] The Dallas Morning News, Dallas, Tex., 29 Oct 1968, sec. D, p. 4 (obituary of Graham Meredith). [S462] Judge Baxter McFarland, Holliday Family, above, (naming Adelia Lucas Elkin as his mother). [S462] Judge Baxter McFarland, Holliday Family, above, (naming John Moorman Gilmore as his father). [S599] Sarah Mullinnix, electronic mail to Roger Bartlett, 22 Feb 2001, (naming Margaret Graham as her mother).